The flag was worn by employees on shirts and belt buckles, as well as displayed by employees. There were many other pieces of evidence in this case, too, including racial graffiti in the restroom, nooses and the utterance of racial slurs. The employer repeatedly cleaned the bathroom walls of graffiti for years until it decided to paint the walls black, which did decrease the frequency of the graffiti. It’s unlikely that display of the Confederate flag alone would be sufficiently “severe or pervasive” conduct to support a hostile work environment claim; however these cases are very fact specific – perhaps painting a huge Confederate flag on the locker of the only African-American employee would be enough. (Seems severe and pervasive). 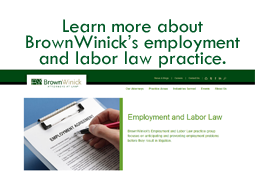 What this means for Iowa employers – Employers need to be aware of the phrases and symbols being used by employees and their potential meanings. While the Confederate flag is not likely a mystery to anyone who has taken a class in U.S. History, there are phrases and symbols that are not as well known or understood. For example, apparently “88” can be used as code for “Heil Hitler.” (“H” is the 8th letter of the alphabet.) If an issue is raised by an employee on a comment or symbol that is unclear to the employer, the employer should – carefully – inquire about the specifics as to how the comment or symbol offended the employee without implying that the employee should not be offended. This case also highlights the importance of good written policies regarding: harassment and discrimination, the need for employees to report issues, the reporting process and a prohibition on retaliation to protect employees who make complaints or participate in investigations. If employees don’t know how to report issues or know they will be protected if they do so, these types of issues may continue.